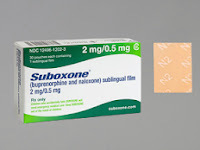 Buprenorphine, otherwise known as Subutex, is a drug alternative to methadone used to treat opioid addiction. Just like methadone, buprenorphine is being abused by a number of people, The New York Times reports. In fact, there are a number of doctors with bad track records running for-profit buprenorphine clinics, according to the newspaper. Many patients have a had a lot of success using buprenorphine to treat their opioid addiction, on both fronts of detoxification and maintenance. Developed as a safer alternative to methadone for treating addiction, drugs like Subutex and Suboxone (buprenorphine with naloxone an opioid blocker), have proven to be effective in treating heroin and prescription opioid addiction. Patients of two large buprenorphine programs were tracked by The New York Times. At West Virginia University in Morgantown, the program was in a hospital complex, run by an addiction specialist. The other, a suburban Pittsburgh program, the requirements for obtaining buprenorphine are light, the program also allowed patients a number infractions, according to the article. Allan W. Clark runs the Pittsburgh program and is in recovery himself for amphetamine addiction. Clark lost his Ohio medical license and was put on an eight year probation period in Pennsylvania. Clark now has five doctors working for him, treating 600 patients. No matter what, drugs developed to treat opioid addiction have the propensity for abuse and will be abused if left unmonitored. However, with strict guidelines and effective aftercare programs, drugs like buprenorphine can lead to successful recovery.